Riley “Rocky” Stone, a twelve year old boy hiking on a family vacation in the Superstition Mountains of Arizona, finds what his grandfather tells him might be an Apache arrowhead. Riley has no idea his arrowhead possesses magic. He finds himself taken back one hundred and fifty years in history on a wild adventure back to the Superstition Mountains where he meets an old miner, Jacob “Dutch” Waltz. During his time with the Dutchman, as Jacob is called, Riley encounters U.S. Cavalry deserters, two bands of Apache warriors and an old rancher, Blind Charlie before he finds himself back home with a souvenir—a large gold nugget. A young boy finds a magical arrowhead while hiking with his grandfather in Arizona’s Superstition Mountains. Riley “Rocky” Stone, a twelve year old boy on a family vacation, finds what he believes is a magical Apache arrowhead while hiking with his grandfather in Arizona’s Superstition Mountains. His arrowhead is more than magical taking him and his family to Disney World. 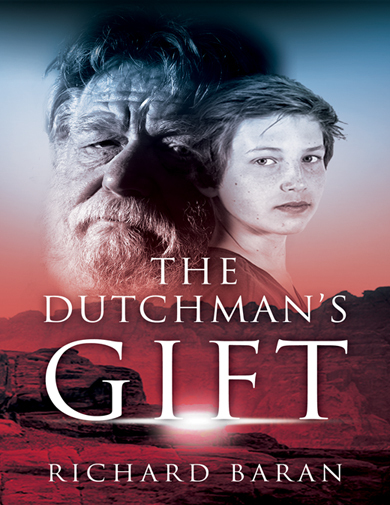 A rollercoaster ride sends him into the world of the Lost Dutchman Mine where he meets an old miner named Dutch. Riley escapes threats on his life by three AWOL Cavalry soldiers and a band of marauding Apaches. With help of a Mexican brother and sister his age and “Blind Charlie” an old sightless rancher, Riley escapes back to Disney World with a valuable souvenir gold nugget.